The new Range Rover Evoque will be unveiled next week in London but, until then, here’s a tangible sneak peek to quench our thirst for more on Land Rover’s new compact luxury SUV: a number of wireframe models that showcase the model’s evocative lines. The Range Rover Evoque was launched back in 2011 as a sleek and posh alternative to the bulky Range Rover that was meant for city usage first and foremost, not the off-road venue where the brand made a name for itself. The Gerry McGovern-designed SUV was previewed by the LRX concept unveiled in 2008. 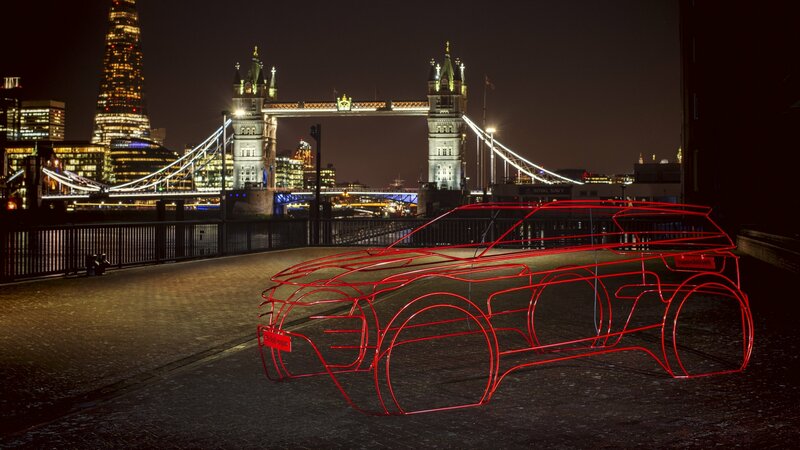 Now, a decade later, we’re nearing the release of the new Evoque that Land Rover has teased with the #HelloEvoque campaign that involved a few wireframe models photographed around London.